The University of Glasgow is the fourth oldest university in the English-speaking world. 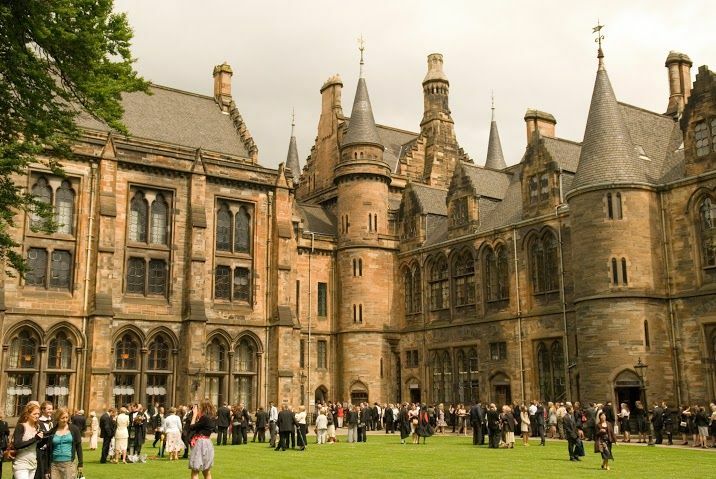 The University of Glasgow has been inspiring talented people to succeed since 1451. Today, the University is a research-intensive institution with a global reach. In 1957, Glasgow became the first Scottish university with an electronic computer. Today, some 5,800 staff and around 23,600 students fill nine faculties in the alma mater of Lord Kelvin, Adam Smith, James Watt and Joseph Lister. If you want to achieve the best you can in life, joining Glasgow's community of 18,000 undergraduates is a good way to start. You can choose from a wide range of degree programmes that are flexible enough to meet your needs. And the University's international reputation, high graduate employment and exciting student lifestyle are great benefits too. Founded in 1451, Glasgow is the fourth-oldest university in the English-speaking world. Over the last five centuries the University constantly worked to push the boundaries of what’s possible. it fostered the talents of seven Nobel laureates, one Prime Minister and Scotland’s inaugural First Minister. It welcomed Albert Einstein to give a lecture on the origins of the general theory of relativity. Scotland’s first female medical graduates completed their degrees here in 1894 and the world’s first ultrasound images of a foetus were published by Glasgow Professor Ian Donald in 1958. In 1840 we became the first university in the UK to appoint a Professor of Engineering, and in 1957, the first in Scotland to have an electronic computer. 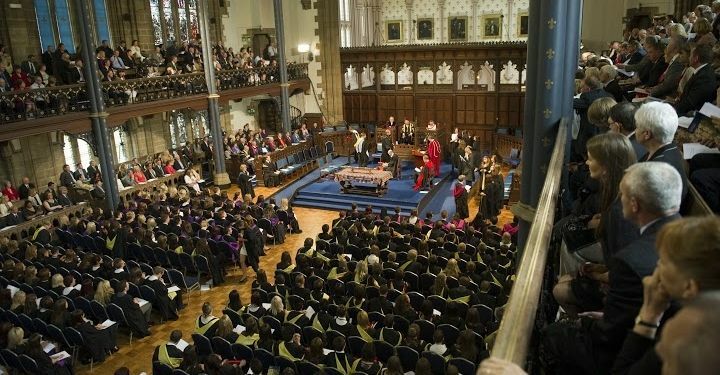 A member of the prestigious Russell Group of leading UK research universities, Glasgow is ranked 55th in the world (QS World University Rankings 2014). 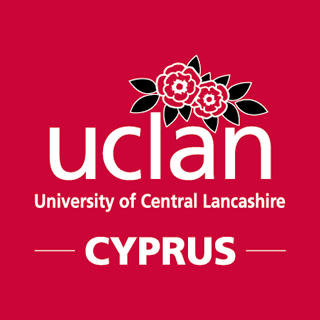 It is rated fourth in the UK for international student satisfaction (among universities participating in the International Student Barometer Summer 2013). Glasgow is a founder member of Universitas 21, an international grouping of universities dedicated to setting worldwide standards for higher education and a member of IRUN (International Research Universities Network) – an international network of broad-based research universities. Key areas include: the British Heart Foundation Glasgow Cardiovascular Research Centre, the Glasgow Biomedical Research Centre and the Wolfson Medical School; the University's Creative Writing Masters and the only university department dedicated to Scottish Literature in the world; the Faculty of Veterinary Medicine, with approved status from the American Veterinary Medical Association. The university's Faculty of Engineering is the oldest in the UK, with the only Department of Aerospace Engineering in Scotland. Students can access wind tunnel facilities to test aerofoils, cars and bridges. The university's Business School is one of an elite group in the world to have achieved accreditation by the Association to Advance Collegiate Schools of Business. Schools: Adam Smith Business School, Dental School, School of Chemistry, School of Computing Science, School of Critical Studies, School of Culture and Creative Arts, School of Education, School of Engineering, School of Geographical and Earth Sciences, School of Humanities | Sgoil nan Daonnachdan, School of Interdisciplinary Studies, School of Law, School of Life Sciences, School of Mathematics and Statistics, School of Medicine, School of Modern Languages and Cultures, School of Physics and Astronomy, School of Psychology, School of Social and Political Sciences, School of Veterinary Medicine. 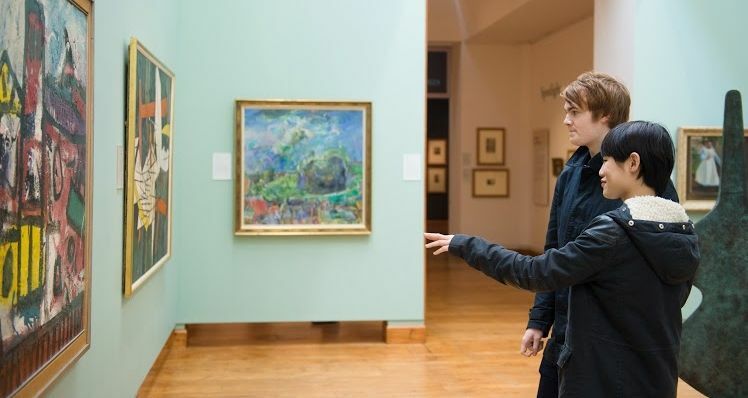 Scotland's biggest city, Glasgow hosts the largest student population in Scotland and has been named one of the world's top ten cities in travel guides. 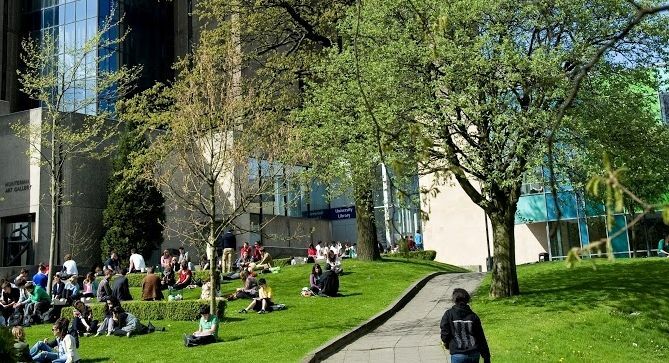 Combining a compact campus-style environment with the benefits of being in a major city, the University has two main city campuses: Gilmorehill in the cosmopolitan and friendly West End; and Garscube, 6.5 km (4 miles) from the city. A third campus is located in Dumfries some 145 km to the south of Glasgow. Both city campuses have excellent transport into the city centre via frequent buses and subway. Glasgow International Airport, Glasgow Prestwick International Airport and two city centre rail terminals offer easy connections with the rest of the UK and the world.